It can be dangerous to fall under the trap of greatness. Frank Ocean has never been a controversial figure, and yet his four years of silence brought upon him a sizable amount of attention, the kind that he could ever conceive. The anticipation was crippling to say the least, but only because everyone knew that he was going to do something great. Frank Ocean wanted to do something great. He had no choice but to do something great. And then Endless appeared on our virtual devices with hardly any notice. My first experience with Endless felt like a pleasant, though interminable chore - it was static and opaque, as if I were experiencing a fever dream. It was midnight, so the timing was adequate; his raw and almost extemporaneous vocal delivery, which has always been one of his weaker qualities, would lift me into some consciousness every time my head would fall forward. As this went on, Ocean was building a staircase, one that didn’t seem to get you anywhere specific. And perhaps that was the point. One could assume that Endless was a petulant response to our unyielding expectations, and how everything that carries some substance takes time to develop. We romanticize a finished product without really thinking about the work that goes behind it. But it somehow felt incomplete. Which leads us to Blonde, or Blond, or is it blond? This is where things turn slightly suspicious. Channel Orange, as ambitious and as thoughtful as it was, was also a sweeping exercise on ego aggrandizement masqueraded as artistry. Blonde could’t be any more sincere. It expects us to understand who Frank Ocean really is, from his foibles to his pathos, and yet, note for note, we don’t get any closer to read into his transparent character. Borrowed from the Kanye school of “emptiness passes as art”, first single Nikes is a modish, yet fraught statement that comes across as some audiovisual curio of a fashion advert. It oozes with cool - Ocean pitch shifts his voice to the point where it sounds unearthly, but it’s a nice touch considering how the beat morphs into a lulling reverie; he gives a tribute to the fallen (with shout-outs to A$SAP Yams and Pimp), self-identifies with Trayvon Martin, and looks into his acquaintances with an apparent distrust. The message is meaningless, or at least impossible to relate to since it doesn’t provide any context, but it does set an appropriate mood for what’s in store. And Ocean will do what’s best to challenge us, even if you’ll really have to pay attention to find something even remotely close to a hit. Not too far into the track list there’s Pink + White, an ambling R&B number that exposes Ocean at his most soulful and sophisticated. What’s actually unusual about it is how it follows more traditional conventions with studious craft, bringing none other than Beyonce along to help out with a barely-noticeable closing refrain. Only Ocean could reduce Beyonce to an unessential asset. 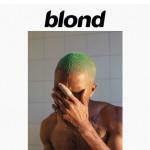 The striking Solo begins to set precedent for the rest of Blonde - accompanied by a muted organ, Ocean reflects on the many ways we manage when by one’s lonesome with nothing more than his austere vocal inflection. Still, we never truly know if Ocean chooses to be more reserved for his own well-being; the drug references seem to shine a light on someone who desperately needs some kind of escape. Ocean stumbles into some rough patches as the album rolls along, like the tediously downbeat Skyline To, where Ocean occasionally indulges on his sexual pursuits and falls into some unfortunate Drake-isms. At least the track is salvaged by some of the album’s more vivid imagery, sung with poetic simplicity (“Sunrise in sight/In comes a morning, hunting us with the beams/Solstice ain’t as far as it used to be”). But for every low point there’s the unquestionable standouts - the equally sparse Siegfried sinks deep into the darkest corners of his mind; the allusions on suicide that have occasionally crept in his work are as apparent as ever, and sung with musing eloquence, as he desperately tries not to lose it after a crushing dissolution. And then there’s White Ferrari, another track made exclusively out of vocal harmonies that exhibits Ocean’s devotion to a loved one, accentuated with a guarded romantic gravitas ("I’m sure we’re taller in another dimension/ You say we’re small and not worth the mention”). In both, Ocean credits artists like Elliott Smith and The Beatles. It’s in his ability to grab from various sources, not to mention his comprehensive and unspoiled outlook on foolproof artistry, that he’s able to cultivate from others with sensible discernment. Blonde comes into the currently unstable music industry with an air of importance and defiance, indulging his free-roaming mind and doing so with prudence and patience. Sometimes it doesn’t come across this way - the skits are superfluous and the self-reflecting testimonials seem strained and should be better left unsaid. But there’s a reason why this could be considered his attempt at writing an album akin to Sgt. Pepper: as Ocean consciously sets a very clear tone with some intrepid experimentation, he finds to way to put the focus almost entirely on thought-provoking sentiments. As a certain loudness continues to surround Ocean’s entire celebrity, his marked urge for silence and intimacy are both indispensable traits that will keep him afloat. And it’ll certainly keep us alert.